Sindicato Cigars debuted in 2013 with a small selection of craft cigars for the avid enthusiast. While the brand participated in the high end of the market, they made sure to offer something for all consumer types, including the ultimate bang-for-your-buck smoking experience—Casa Bella. Now, after a consistent expansion of the Sindicato portfolio over the past half-decade, the company has circled back to grow the Casa Bella lineup, adding the series' most intense smoking experience with Casa Bella Nicaragua by Sindicato. 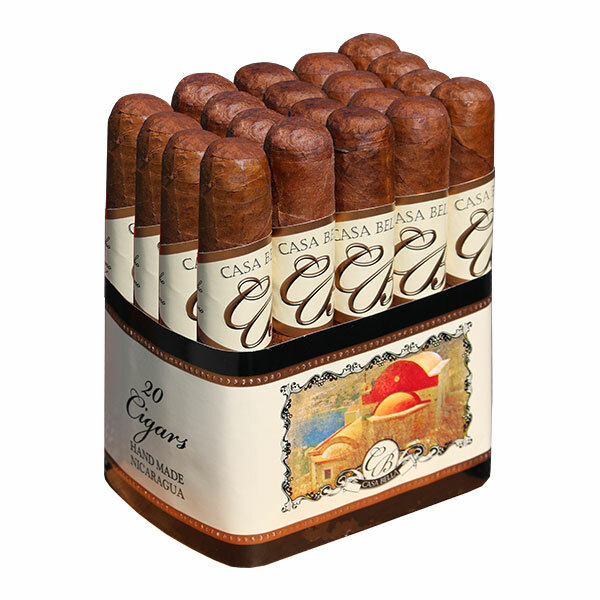 As the title alludes, Casa Bella Nicaragua makes use of a fiery blend of all-Nicaraguan tobaccos. Nicaragua has rapidly surged in the past two decades to become the largest producer of premium cigars worldwide. Because of the the country's unique climate and volcanic soils, the tobaccos grown allow for the intense smoking experiences that the modern hobbyist craves. Casa Bella Nicaragua has been crafted to best showcase these qualities in an affordable format! Stripping away the fancy bells and whistles, these cigars are offered in unpretentious bundles for the everyday smoker. Expect a full body and easily enjoyable flavors of black pepper, chocolate, raw tobacco, earth, and dark-roast coffee.